A plane crashed in Mexico right after takeoff. At least 90 people are injured, but fortunately, all passengers on board survived. 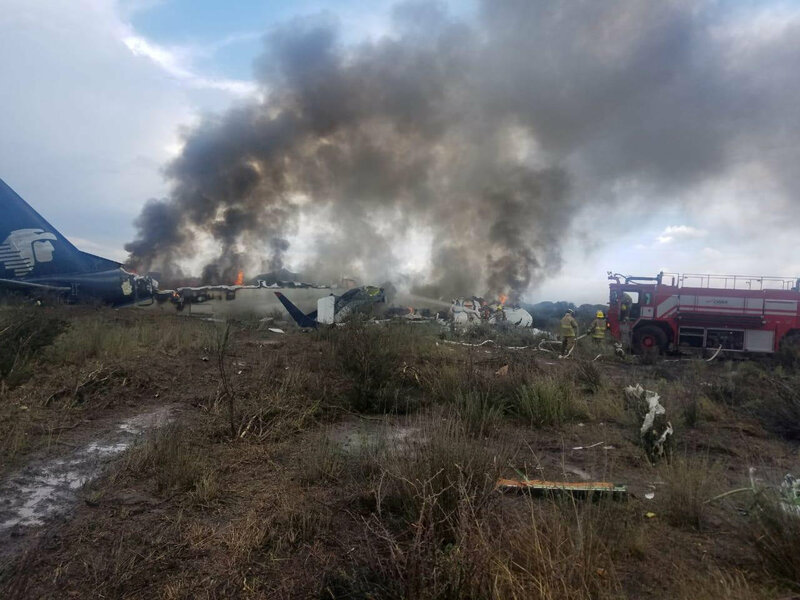 An Aeromexico plane that was carrying 103 people crashed on Tuesday, July 31st, in northern Mexico after a strong wind gust brought it down. Dozens of people on board were injured but fortunately, there were no fatalities, according to Durango state officials. “The control tower noticed strong wind currents and this could have caused the accident,” State Governor José R. Aispuro explained in a news conference on Tuesday night. It appears that the left wing of the plane touched the ground and the two engines of the plane came off right afterward. This caused the plane to skid off the runaway and eventually stopped 300 meters further. This happened at around 16:00 local time (21:00 GMT) at the Guadalupe Victoria International Airport. Flight 2431 operated by Aeromexico was about to take off from Durango, Mexico, heading to Mexico City. The majority of passengers was able to walk away before the plane caught fire using the emergency evacuation slides. According to the latest reports, 97 out of 103 people on board (including the crew) were injured, with the plane’s pilot being one of the two who was the most seriously injured. The pilot had to undergo a spine operation but he is now reportedly in a stable condition. The other person who suffered serious injuries was a young girl, who sustained burns. Officials said that most passengers were also taken to the hospital, but fortunately, they suffered “very light” injuries. “Our heart is with those affected and their families. We are deeply saddened by this incident and we would like to assure everyone that Group Aeromexico offering its support, thoughts, and prayers to those affected and their families. We are doing everything in our reach to assist them and their families,” he said. What are the causes of world hunger and are there ways to banish it?